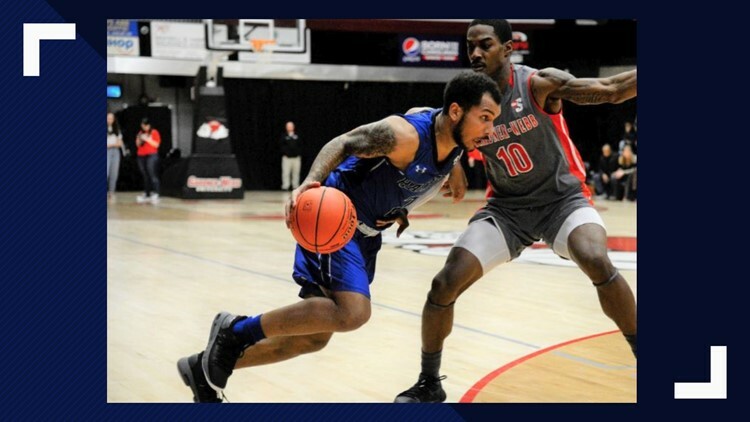 Jermaine Marrow had 32 points for the Pirates and Kalin Fisher scored a season-high 29 points in the loss. ROCK HILL, S.C. — Nych Smith and Josh Ferguson scored 20 points apiece as Winthrop defeated Hampton 101-91 on Saturday. Ferguson also had eight rebounds for the Eagles. Bjorn Broman had 18 points for Winthrop (16-8, 8-3 Big South Conference). Charles Falden added 16 points and six rebounds. Winthrop is undefeated (4-0) when scoring at least 100 points this season. Jermaine Marrow had 32 points for the Pirates (10-13, 5-5). Kalin Fisher scored a season-high 29 points. Trevond Barnes had 11 points. Winthrop matches up against Presbyterian at home on Wednesday. Hampton matches up against Campbell on the road on Wednesday.